The new Value category hotel will open to guests on June 27, 2019. Families can kick back and relax with plenty of space for everyone in either standard rooms or 2-Bedroom Suites. In addition, guests staying in the hotel can enjoy benefits like Early Park Admission, complimentary shuttle bus transportation to and from the parks and Universal CityWalk, and more. 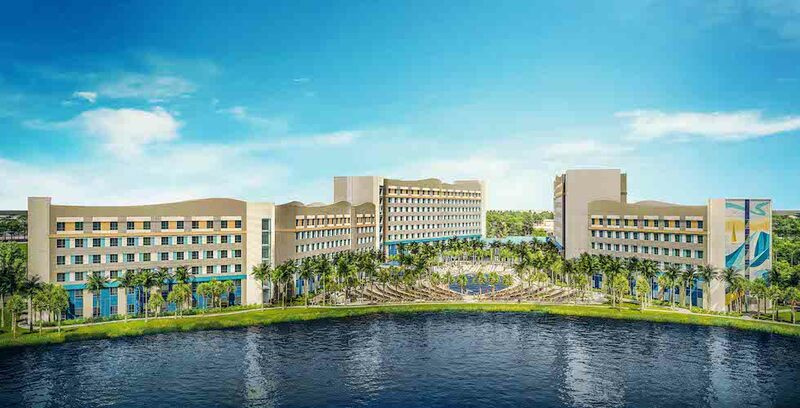 The hotel’s sister location, Dockside Inn and Suites, is now accepting reservations and will open in May of 2020. To learn more about Surfside Inn and Suites, and to book your stay for this summer, visit UniversalOrlando.com/Surfside.